CVS: FREE Paper Towels Through Tomorrow! If you are a CVS shopper, make sure you scan your extra care card at the Coupon Center and you can get $0.79 off coupon for Just the Basics Paper Towels, which are on sale this week for just $0.79, making them FREE! Staples: $75 Off any Sale or Clearance Laptop! If you are in the market for a new laptop, be sure and print out this new $75 off any sale or clearance laptop at Staples! There is a good chance you can score a hot deal with this coupon! Still Available! $10 Starbucks eGift Card Just $5! Okay people this one is HOT! 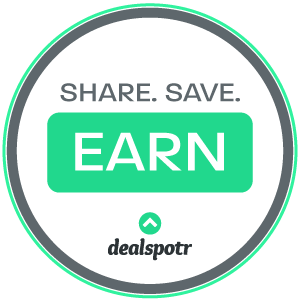 Head on over to Groupon, enter “Starbucks” into the search bar and find the deal to get a $10 Starbucks egift card for just $5! I took advantage of this deal the last time it was available and I already bought mine again this morning! This will make a great Christmas Gift or Stocking Stuffer! Expires May 1st, 2014. Limit 1 per person. Valid within the US only. Must redeem Groupon voucher at http://groupon.starbucks.com/ for a Starbucks Card eGift, which can be used in any participating Starbucks store. Must redeem Groupon voucher by 5/1/14. Groupon will send amount paid in Starbucks Card eGift if not Redeemed by 5/1/14 within 30 days. All sales final. See Starbucks Terms & Conditions applicable to Starbucks cards here. Starbucks Card eGift does not expire. See FAQ on this Groupon here. Merchant is solely responsible to purchasers for the care and quality of the advertised goods and services. See the rules that apply to all deals. This entry was posted in Uncategorized and tagged starbucks. Best Buy: Toshiba – Satellite 15.6″ Laptop – 4GB Memory – 500GB Hard Drive – Satin Black w/Free SkullCandy Headphones Just $229! If you are in need of a new computer, make sure you check out this hot deal happening at Best Buy this week! Get this Toshiba – Satellite 15.6″ Laptop – 4GB Memory – 500GB Hard Drive – Satin Black for just $229, plus with it you get a pair of Skullcandy headphones ($60 value) and free antivirus software. This is an awesome deal. So good, actually, that I am writing this post on this same computer. I bought myself one this week and I love it! I am also in love with my new headphones! I am not the type that would ever spend that much money on a set of headphones, but I can now see why people do, they sound amazing! This entry was posted in Uncategorized and tagged laptop, Skullcandy. Toys R Us: Cody Simpson Doll Just $1- Awesome Donation Toy! Check out this deal at Toys R Us right now! You can get this Cody Simpson Doll for just $1 These would make a great gift for any little one who is a Cody Simpson fan, but they would also make fantastic donation toys! I am going to pick up several just for that reason. There are two different dolls to choose from. Yesterday, I did the unthinkable. I ran out of dishwasher detergent and had NO coupons for any more! ugh.. oh well, I decided to pick some up while inside of Walmart and I saw these Finish Geltabs with a ‘Try Me Free” rebate form attached! Problem solved. Free sounds like a good price to me. Next time you are in the dish detergent aisle, make sure you keep your eyes out for these 12 or 20 packs of Finish Detergent Powerball Tabs or Gelpacs with the rebate attached. Can’t beat free! 30% Off Holiday Cards and Invitations! Ready to get started on your holiday cards? Check out this hot deal from Cardstore.com. I have ordered from Cardstore before and I have always been thrilled with the results. These cards are great quality!